Our core goal is to restore an individual to their highest functional potential, promote a sense of well-being, achieve a satisfying level of independence and improve the quality of life for each individual resident. 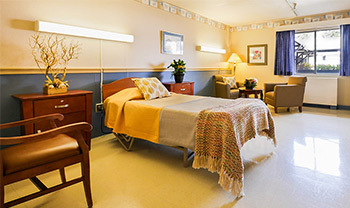 If you or a loved one are in need of health care, require advanced skilled nursing services and rehabilitation, then Los Altos Sub-Acute and Rehabilitation Center is the choice for you. We provide excellent health care services in a homelike atmosphere and a partnership with the healthcare professionals who are dedicated to meeting your goals. 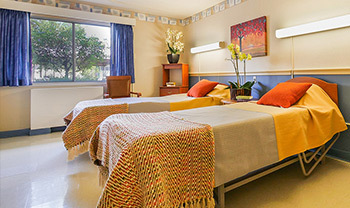 You are at the first step in choosing a quality skilled nursing and rehabilitation center. Our Rehabilitation Center is staffed with a full complement of its own dedicated therapists including, Physical Therapists, Occupational Therapists, and a Speech and Language Therapist. Our team of therapists are specifically trained to work in the rehabilitation field and receive quarterly training modules from an external training company to ensure they stay current on therapy techniques and modalities. The therapy staff has regular team meetings to ensure that every plan of care for each patient is both individual and specific to his or her limitation. This will empower continuity of care and enable our patients to return to his or her highest functional level. Our therapy department has numerous programs to help a variety of conditions. Included in our programs, we have modern electrotherapy equipment which consists of the new Neuroprobe light therapy unit and the new Omnicycle, which assists residents who would not previously been able to participate in a therapy program. 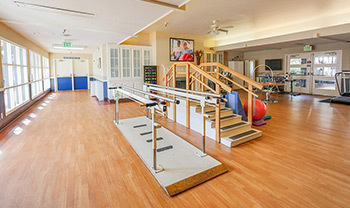 Contact us today to find out more about what Los Altos Sub-Acute and Rehabilitation Center can do for you! Los Altos Sub-Acute and Rehabilitation Center provides both short-term rehabilitation and long-term care at the highest standards. We provide comprehensive skilled nursing care using state-of-the-art medical equipment and progressive treatment plans promoting quality care.